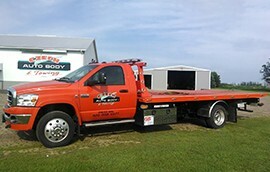 24 hour towing available, just call! 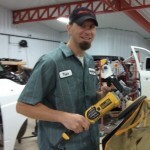 With over 25 years of service and repair to customers around the central MN area, Jeff’s attention to detail and craftsmanship has built trust in the community which resulted in business and employee expansion. 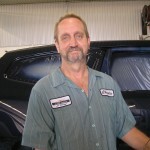 Jeff and his staff pay extra attention to detail and take great pride in every step they do to return your vehicle back to pre-accident condition. We guarantee our repair work with a lifetime warranty. Let us be your collision or towing choice! Call today. If you'd like a to get an estimate for repairs to your vehicle you can contact us by email or telephone. We can further discuss with you how to go about it. We'd love to hear from you. My step-mom was super impressed with your services and your customer service. Her car looks AMAZING!! And the loaner car you let her use while fixing her car was nice. Great job Jeff & Crew. I hit a deer on my way to work one morning, I called Jeff up right away. He not only picked up my smashed vehicle but he brought me a loaner car to the scene I was able to use to get the rest of the way to work. 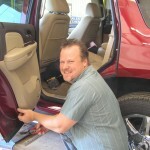 He was very personable with helping us through our insurance claim making sure we got the best service and repair. THANKS!! Thank you to Jeff & his staff for helping us when our daughter had a car accident. Jeff took the time to walk us through the steps with our insurance company and kept her in a free loaner car while they fixed hers. I bumped into a light post in a parking lot last winter (well, more than bumped), and needed my vehicle towed and fixed. Even though it was after 6pm, I got a call back right away and we scheduled a time to have my vehicle towed. All through the process of having my vehicle fixed, I was greatly impressed with how well they communicated the progress on my vehicle. Turnaround wax quick, efficient and they answered all my questions since I had never needed to make an insurance claim before. Will do business here again! 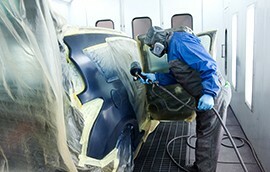 I really enjoy working with Czech Auto Body. Czech makes you feel like you are their only client. When they are done repairing the vehicle it looks like it came off the car dealer’s showroom! I am very pleased with not only your great customer service but the quality of matching my paint and workmanship on my vehicle and also the timeline in getting it done for me. Thank you so very much to everyone involved in the process. All around great experience! Very nice and easy to work with people, and my car looks good as new! Best poeple to deal with. 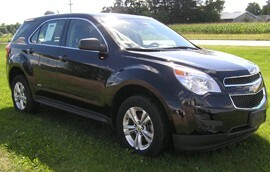 Love the truck I got and are there after the sale to help you out!!!! Best car buying experience I have ever had!!!!! Thank you I love my new car!!!! They always do awesome work. I've been lucky enough to use them multiple times with all bad luck.